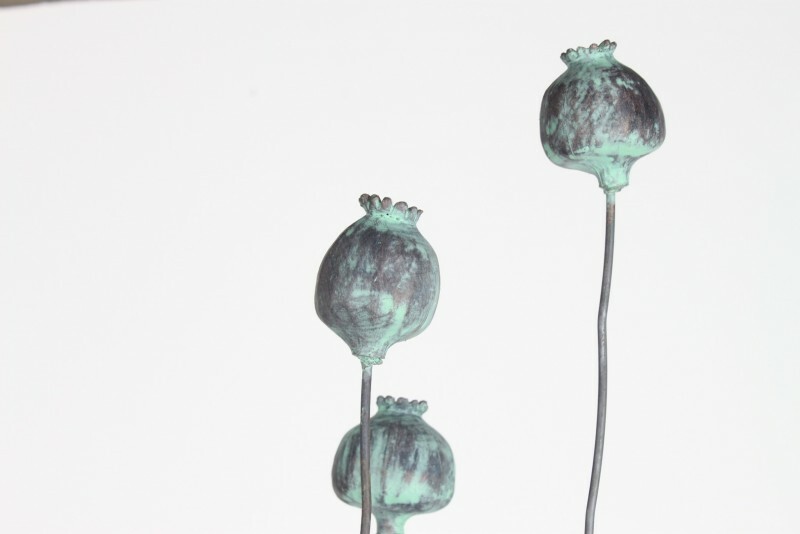 This very popular sculpture has three lovely little poppy seed heads on one single stem. This is a great way to have impact in your garden for the price of one. They come in two parts that screw together to make a 1.6m tall sculpture. 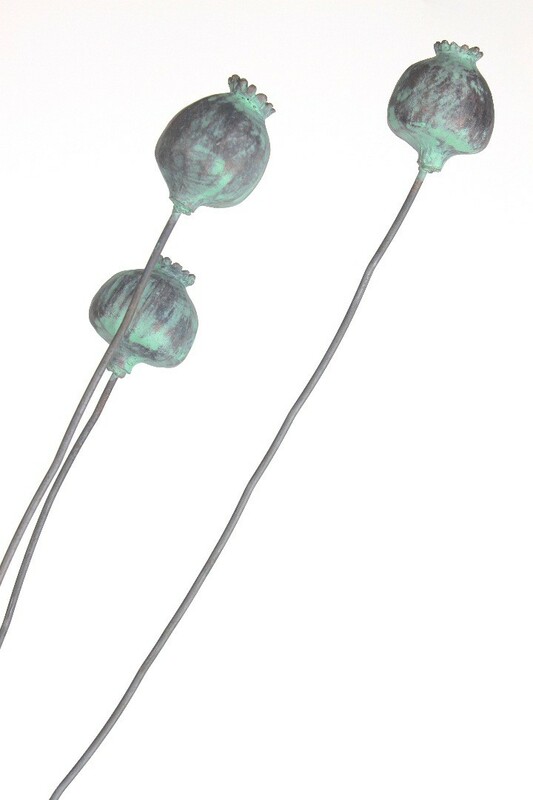 Each poppy seed head size is approximately 4-5cm diameter and is finished with a delicate lovely bronze verdigris effect.